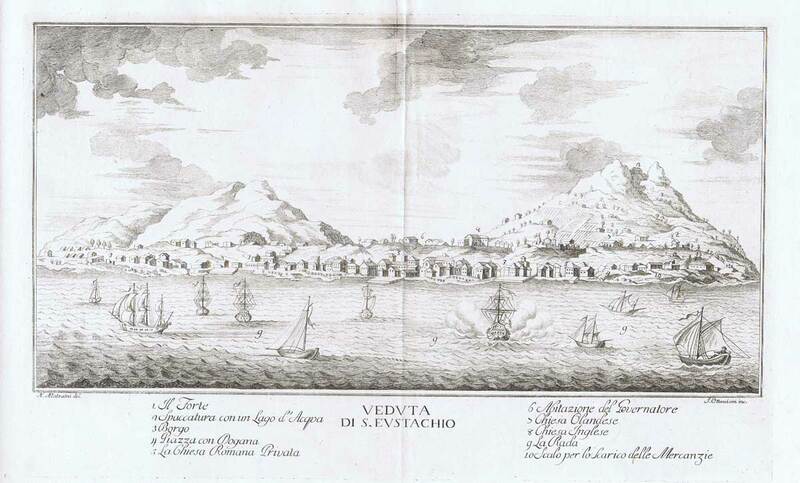 Old historical maps and prints of St Eustatius for sale. All are originals. I do not sell reproductions. 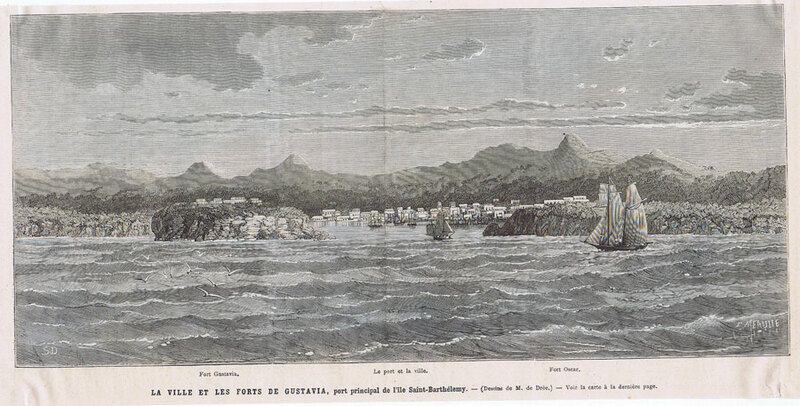 MEAULLE F. La Ville et les Forts de Gustavia, - port principal de l'ile Saint Barthelemy. 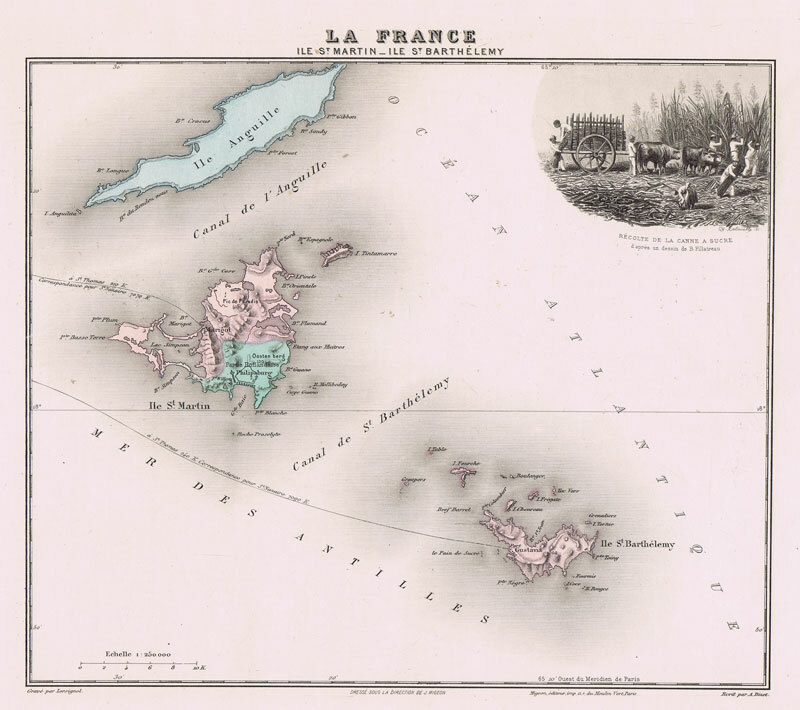 Two wood-cuts on one sheet, vertical crease. 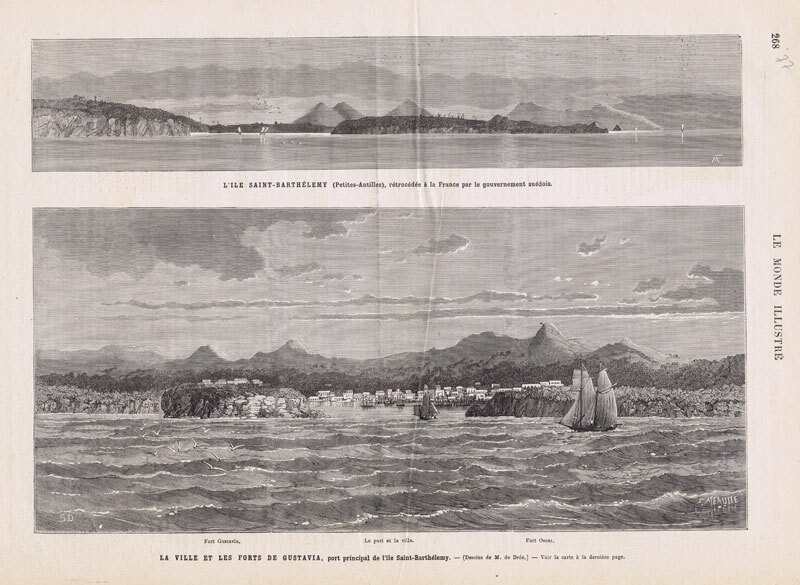 12½ x 9"
Fine engraved view of Oranjestad from the sea. Wide margins. Central fold reinforced. Fine condition. 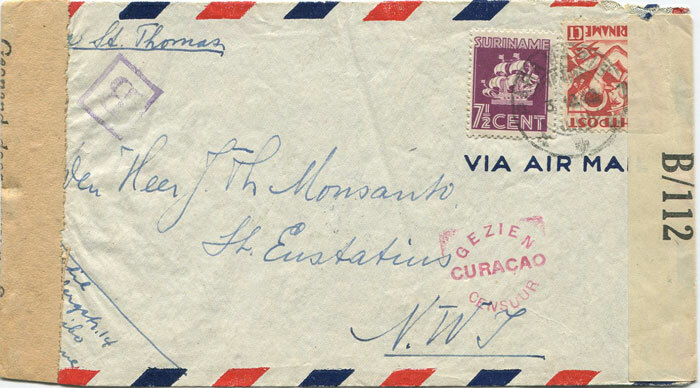 14 x 9"
Wood cut 12.5 x 6"
1942 (3 Dec) Suriname censored airmail cover to St Eustatius with Suriname tape at left, Curacao censor mark and Antigua censor label. 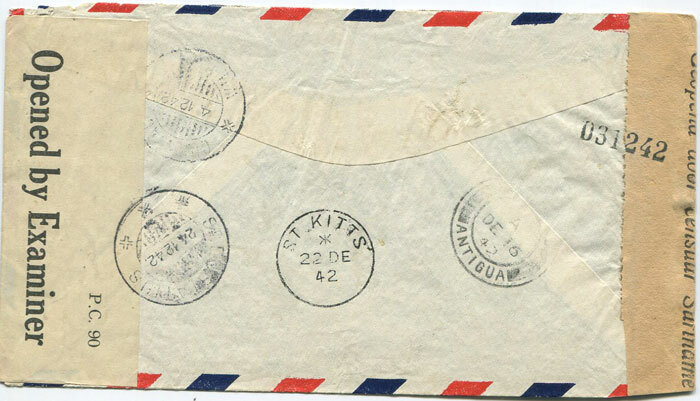 St Kitts and St Eustatius cds b/stamps. Fine. COCKBURN Sir James Dedicated to the army, and more particularly to the late garrison of St. Eustatius. An authenticated copy of the proceedings on the trial of Lieut. 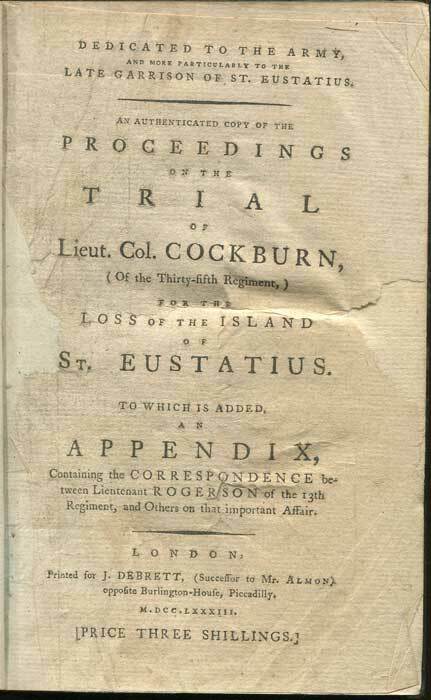 Col. Cockburn, (of the Thirty-fifth Regiment) for the loss of the island of St Eustatius. London: Printed for J. Debrett 1783  + 194pp + folding table +  publisher's ads. 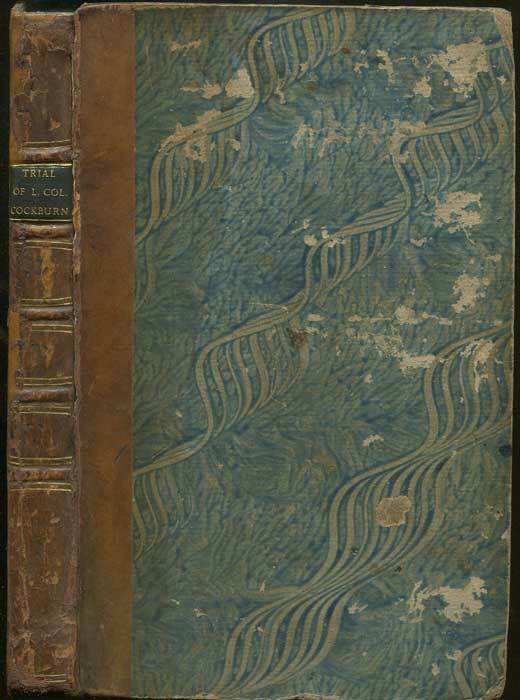 1st ed., title page repaired but with some loss otherwise clean in old quarter calf with paste paper boards. Rare.